Replacing old counters is one of the top kitchen remodeling projects, and granite still remains a very popular material. Today, granite countertops dominate over 50% of all installs, and offer one of the highest returns on investment. Many homeowners love the classic look and feel of granite, which works well in both modern and traditional kitchens. While granite countertops have been loosing some popularity to other materials, such as quartz, they continue to be installed in thousands of homes around the US. Across the US, homeowners report spending $75-90 per square foot on granite counters. The total cost to install granite is $3,000-5,000 for an average size counter surface area of 40 sq.ft. Use our Countertop Cost Estimator to compare prices for different types of counters, including granite. The quality of the granite you select will have the largest impact on the final price. Low-end granite costs as little as $35-40 per square foot. These slabs usually have a very plain, uniform look, without patterns. Colors typically include shades of black, dark grey, light grey and beige. This type of granite is ideal for a rental apartment and or a first-time, budget home. Popular granite options in this category include: Bianco Romano, River White, Galaxy Black, Colonial Gold, Venetian Gold, Peacock Green, Gray Mist, Silver Cloud. If you are not looking for anything fancy, Home Depot granite options are worth checking out. They are well made, decent quality, and you will have 15-20 different colors to choose from. Home Depot also provides installation and old countertop removal services. Mid-range granite varieties cost $50-65 per square foot. These slabs have more interesting patterns and offer a wide range of color variations. Here you will find granite varieties such as: Snow Fall, Bordeux, Red Dragon, Snow Fall, and Nordic Black. High-end options are $75-110+ per square foot. 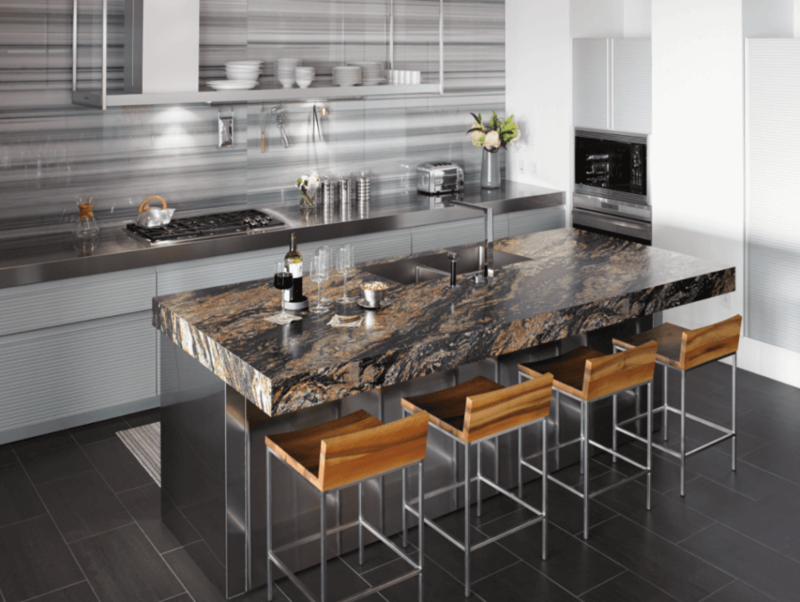 These stones boast unique looks and are ideal for upscale kitchens. Many slabs have a marbled texture and a very light color, making them appear very similar to marble, but at a significantly lower price. White granite countertops are particularly sought after, and are often more expensive. Popular high-end ranite colors are: Niagra Gold, Verde Fantastico, Spectrus, Blue Bahia. Exotic granite slabs are priced at $180-200 per square foot. These are so expensive because they are extremely rare. Of course, each stone looks like a one-of-a-kind piece of art. So scarcity and strong demand contribute to the high cost. It turns out the cost to install granite countertops is about the same as the price of the stone itself. In other words, if your granite is $35 per square foot, your installation will also be about $35 per sq.ft. making the total cost $70 per square foot. Pro Tip: usually, installers charge less for labor when you opt for a more expensive stone. This is a trick you can use to get a better looking slab of granite, while saving money on installation. Removal and disposal of old countertop: $8-13 per square foot, depending on the material and countertop size. To get started, contact your local granite installers for free estimates. – Size of the slabs. Large pieces will cost more than smaller ones, because they are more difficult to work with. – Number of corners will increase total installation price. – Countertop layout and the number of cuts that need to be made. – Type of edge profile you want. Fancier edges will require more intricate labor and can significantly drive up the cost. These include: DuPont, Waterfall, Ogee, etc. Simple edge profile, such as Round, will be the cheapest to install. – Number of cut outs. The number and type of holes you want cutout in the granite will drive up the price. Most homeowners need a cutout for the sink and faucet. However, there are many other options, such as a cut out for a drinking faucet, trash receptacle, electrical outlets, vents, cooktop etc. Edges for granite countertops come in a wide range of beautiful styles and shapes. Creating one of the popular custom edges below can cost $5-20 per linear foot, depending on the complexity of the work involved. To save money, you can opt for a standard slightly rounded edge, which is included in the initial installation cost. Waterfall – countertop continues down the cabinet’s side, reaching the floor. Eased – offers a soft look by sanding down the edge to a 90-degree angle. Bevel – features a subtle yet stylish 45-degree angle edge. Double bevel – boasts two beveled edges: one at the surface pf the counter and the other at the underside. Bevel bullnose – a unique cross between bevel and bullnose shapes, this edge has both a 45-degree angle and an elegant curve. Double roundover – looks similar to classic bullnose, with a slightly curved radius at the top and bottom. Ogee – another classic edge for granite countertops, which features a concave radius. Double ogee – has two concave radiuses and creates a very prominent looking edge. Roman ogee – features more dramatic curves than the standard ogee. Ogee bullnose – very upscale looking shape that layers an ogee edge on top of a full bullnose. Triple pencil – has a trio of descending waves, with a 6mm radius each for a dramatic look. Another way to enhance the look of your countetops is to customize the corners. By changing the radius, the installer can make the corner appear more curved. 1/4 inch radius creates a very subtle curve, while a 1 inch radium makes for a very noticeable round curve. Depending on how curved you want the corners to be, the cost of each custom corner is $50 – 140. As a rule of thumb, plane colors and simple patterns in the granite cost a lot less. They are more readily available, so its easy for fabricators to keep the price down. Classic patterns are: speckled, marbled, and solid. On the other hand, unique colors and complex patterns can cost double or triple the price you would be paying for an average looking slab. However, their beauty is so captivating that many people find it worth the extra cost. The color of the stone depends on the minerals that exist in the earth, as well as the location of the stone where it was formed. Some of the most popular high-end granite varieties that boast stunning colors are: Typhoon Bordeaux, Santa Cecilia, Del Mare, Blue Louise (also known as Van Gogh) all from Brazil, African Ivory from Namibia, and Azul Platino from Spain. Depending on your preferences, it is possible to get a stone that either has a matte, glossy or leathered finish. Any type of finish that is not standard, will cost extra. Leathered finish on granite is the most expensive. It offers a more rustic look and feel. You can also get special treatment for an extra 10-15% This will help prevent staining and eliminate the need to reseal your counters for as long as 10-15 years. If you are looking for a unique stone, it is best to go to a fabricator, rather than a home improvement store. Fabricators have access to dozens of gorgeous granite slabs that can fit any style kitchen. Its important to know that the source of granite will impact its price. The stone is quarried in many parts of the world, including here in the US. Usually, locally harvested granite is cheaper than stone shipped from overseas. Domestic granite is not in very high-demand and does’t have a lot of color options. They are typically black, white, or shades of grey. Imported granite comes from India, Brazil, China, Canada, Spain, South Africa, and Italy. 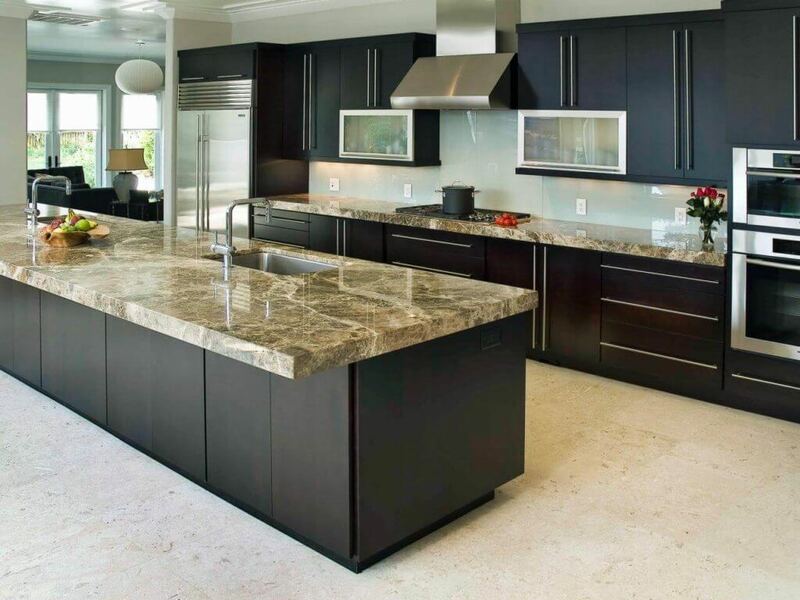 Brazil is one of the largest suppliers of granite, both standard and premium grades. China was the last country to get into the business of quarrying granite, and often its quality its questionable. When shopping for your stone, always look for the label that specifies its origin. It is also very important to consider the stone’s grade, as it will determine its overall longevity and durability. – There is not a lot of variety in terms of colors and stone grades. They usually stock up on low to mid range quality granite, with rather limited color options. 20-30 colors is what you will find in most big chain stores. However, they tend to overcharge for these basic colors! – These stores overcharge for installation. 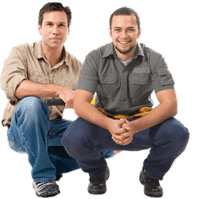 They act as the middle man, and hire small fabricators to do your installation. They pay low installation fees to the fabricator and take a huge chunk for processing and managing the order. Thus, its much better to go to a local stone fabricator. You have a lot more colors and styles to choose from, including high – end and exotic stones. On the other hand, lower-end varieties of granite will cost less here, and you will have more negotiating power. Another perk is that a fabricator will work with you personally to advise you on a granite slab that fits your needs and budget. They will also come out to create a unique layout of your slab, based on your specifications. While installing granite counters can become an expensive remodel, there are smart ways to save money, and still love the look of your new kitchen. With some planning and research its possible to get a much lower than advertised price, and save up to 30% off on very good quality granite. To make it quick: measure the length of the front edge of your counters. Get total length in inches. Multiply length by 25 (depth of standard countertops), and divide by 144. This will give you square footage. If you have inside corners, add 4.34 square feet for each inside corner (25*25″). For example, if you have 250″ of counter length, and 1 inside corner, do the following: 250*25 = 6250 + 625 (inside corner) = 6875 / 144 = 47.75 square feet! Don’t limit yourself to your town only. Do a 25 mile radius search on Google Maps. Preferably find a fabricator that advertises prices. 3. Visit several places and get quotes for colors you like. Also ask about a CASH price, this can often lead to a 5% discount on the total cost. See if you can avoid paying sales tax when paying cash. 4. When you have several negotiated quotes, choose the least expensive fabricator. Ask the fabricator to send you to their supplier to pick out a slab. When you visit the supplier, call the fabricator and ask for quotes for the colors you like. In MA, the biggest wholesale supplier of natural stone is MSI International. There are literally hundreds of slabs to choose from. If you pick a specific stone and want to proceed – put a “TAG” on that stone (reserve it for 1 week). Go back to the fabricator and negotiate a final deal. When you design the way you want your kitchen counters to look, there are many details you can add. However, each one costs extra. Carefully consider what you can live without. For example, a 4″ rear bar costs money! If you don’t need it – get rid of it! If you are getting a standard drop-in sink – ALWAYS go for an UNDERMOUNT sink. Preferably deep double bowl. Don’t install a top-mount sink, or you will ALWAYS have nasty mold growing under the sink lip. When you choose a drop-in sink, you end up paying for a sink cut-out, so you might as well get a better sink. If you change your mind later, it will cost over $1500 to go from a top mount to an undermount sink, and you will most likely have problems. Also consider the IKEA DOMSJO farmhouse sink – it will typically save you $500-700, depending on the stone you get. Many fabricators have various sizes of granite remnants that have been left over from previous kitchen remodels. They cannot sell them, and simply store them. As a result, they are often willing to sell these remnants at a fraction of the cost of the original slab. If you don’t have a lot of counter space and are willing to play around with putting together a couple of remnant pieces of granite, this can save you hundreds of dollars. Moreover, if you have a kitchen island, you can install a different color granite there, and create a beautiful accent piece. 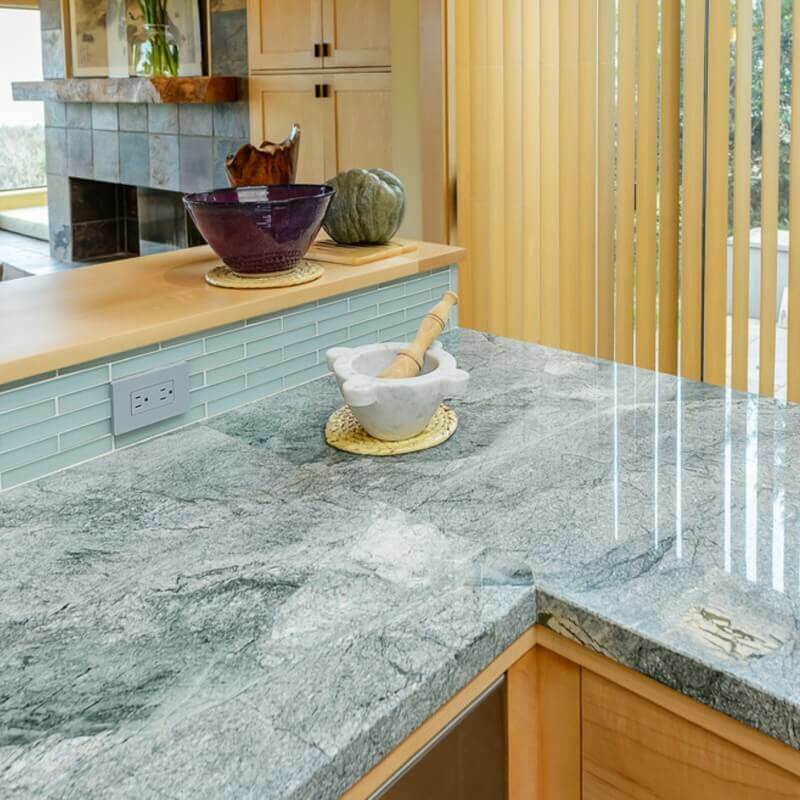 Once you get various estimates for installing granite counters, you may discover that they are still too expensive for your kitchen remodeling budget. Don’t be disappointed, as there are many other, less expensive countertops to consider, which can still look awesome in your kitchen. Those who love the look and feel of granite, but cannot afford the high cost of a large slab, can opt for granite tile. It can range in price from $10-30 per square foot. The biggest disadvantage to tile is the large number of grout lines that will be visible after it is installed. Moreover, this grout will need to be regularly sealed, calling for a lot more maintenance than slab counters. However, tile can work very well if you have a complex countertop lay out, or a very small counter space. Another option is butcherblock countertops. These are functional and create a very warm ambiance in the kitchen. Butcherblock counters look particularly beautiful when paired with white kitchen cabinets. Prices start at about $35-45 per square foot, and there are multiple wood species, colors and stains available. There are also composite countertops to consider. In this category, there are numerous brands and materials used. Today, a very popular option is nanotech countertops, such as Fenix NTM. They are easy to clean, don’t stain, and offer a chic, modern aesthetic. Surprisingly, the cost is very affordable -$35 per square foot. Last but not least, there is porcelain tile. This is a really budget friendly countertop material; prices can be as low as $5-10 per square foot. You have an almost endless array of sizes, colors, textures and finishes to choose from. Using tile as a countertop material also makes a perfect DIY project, so you can save thousands of dollars on the cost of hiring a professional installer. Your advice to go to the supplier and pick out the stone slab to use is a good idea. This could ensure you get one that you love and will work well with the design of your home. In order to do this, you’d probably want to find a good supplier that provides quality slabs made of the type of stone you want. Checking out their website could let you see examples of what they offer to see if they have what you’re looking for. We are looking for a distributor who is willing to do consignment with us. We are a remodeling company that has a warehouse and we cut, fabricate and install all of our work. Our showroom is being constructed now within the warehouse and we would like to use your company’s quartz slabs in our showroom as part of the showroom model, as well as have it available for sale on hand and for order to our clients. We currently serve the Tri-State area surrounding Delaware, which includes but not limited to Delaware, Pennsylvania, New Jersey, Maryland, and newly added, Virginia! I thought this was a page for contact, but all and all, I love the quality shown on this website and our company is interested in doing business with you! Thanks so much for the information. I learned so much. I was wanting a farmhouse sink and now I can because it’s going to save me money. You do have to pay for the square footage of the entire granite slab, which will include the cut out. You can keep this cut out piece if you wish, you just need to discuss this with your fabricator ahead of time. They have no use for it.